What's the best way to reimburse employees for mileage for their business driving? I discussed this question with Craig Powell, CEO of Motus, Motus provides a vehicle management and reimbursement platform that assures fair and accurate reimbursements for mobile employees. What are the options for setting up a driving system for my business? Company workforces are becoming increasingly mobile, with more employees driving for business on a daily basis. You have two alternatives for your business: a fleet program of company-owned cars, or a reimbursement program for employees who drive their own cars. A fleet program (company-owned cars) is an appealing option for employers who need to provide transportation for specific functions, like service trucks, vans, delivery vehicles, or those with other equipment requirements. The fleet program gives your business control and oversight of things like insurance and vehicle upkeep and the ability to choose the vehicle features that the company finds important. These include features such as corporate branding, safety elements, and​ telematics to gain 24/7 insight into where their vehicles are located and are being driven. A reimbursement program for employees who drive their own cars is used by companies that don’t require specialty vehicles or trucks for their employees, such as sales and service businesses. Reimbursement provides flexibility and choice for workers, requires less internal administration, and doesn’t require upfront costs or drain on capital. What's important in deciding which system to use? Regardless of the model — fleet or reimbursement — you need to reimburse employees properly for the business use associated with their vehicles, or face the consequences, such as costly IRS audits, or worse, class-action lawsuits. For a fleet program, ask yourself the primary purpose of the program — as an employee perk (benefit) or to provide for your business' transportation needs. If your primary goal is to provide a business tool, it should allow you to reduce fleet expenses by recovering the costs associated with employees’ personal use of vehicles. With a reimbursement program, you can choose either a flat car allowance, cents-per-mile program, or the standard IRS mileage rate to reimburse their workers. But all three of these options can cause companies to lose thousands of dollars per employee each year because they don’t accurately account for each individual driver’s costs, such as varying gas prices and the number of miles driven. What's FAVR and why is it the best alternative for mileage reimbursement? FAVR is an IRS revenue procedure that reimburses employees tax-free for fixed and variable costs associated with driving for business. Fixed costs might include insurance, license, and registrations fees, while variable costs include fuel and maintenance. FAVR is the most accurate reimbursement solution because it provides a customized reimbursement to each mobile employee based on the person's local costs and business mileage, which can vary from month to month. But, accurately recording all the fixed and variable costs can be complex to administer — which is why most employers don’t use it. Many employers opt instead for simpler flat car allowances as a “one size fits all” approach ($500 a month per employee, for example). But this method doesn’t account for the fact that no two business trips are the same, so no two employees should be reimbursed the same amount. A cents-per-mile program reimbursement is fairer but still not accurate. Most companies use the IRS business mileage rate to calculate what each individual employee should be paid back. But the IRS rate is not a required reimbursement rate because it is based on the national average costs of operating a vehicle during the previous year. The IRS rate is a point-in-time average of costs using previous years’ data, not an actual reimbursement rate. Employees could be spending more on travel than they’re being reimbursed for, or they could be over-reimbursed if gas prices have fallen — and no adjustments would be made in what they’re being paid because it was based on last year’s numbers. What do most companies get wrong when it comes to flat car allowances vs. reimbursement? Flat car allowances are just not fair when it comes to reimbursing employees living in different locations. For example, one employee may live in an area where gas prices are 12 cents cheaper than the prices in the next town over where another employee lives. Also, the fixed costs of business travel, such as the price of car insurance premiums and taxes, differ considerably by location. Other driving costs also vary. For example, car insurance premiums vary greatly by state, from $825 in Charlotte, North Carolina to $3,150 in Detroit, Michigan. Taxes for the same $21,000 sedan cost $249 in Nevada, yet can cost as much as $1,689 in Rhode Island. Yearly repair costs are not the same in every state, either, averaging $393 in New Jersey but only $270 in Vermont. Paying the same flat rate to employees living in different locations ignores these variances completely. Because car allowances are treated like compensation, they are also taxable to both the employer who pays FICA taxes (Social Security and Medicare taxes) and the employee who pays both FICA and income taxes. This means that the company pays the car allowance amount plus the associated FICA tax contribution, while the employee takes home the car allowance amount, fewer income taxes and their FICA contribution. In a tax-free reimbursement model like FAVR, the employee “takes home” exactly the amount that the employer reimburses. What mistakes do companies make in charging for personal use of a fleet vehicle? Some employers do allow their employees to use company-owned fleet vehicles as a perk for their personal driving use. But, you’d be surprised at how many companies don’t realize this personal use is taxable to the employee. Companies also don't have a good way to calculate the amount each driver should be charged for this taxable benefit. Some organizations simply charge a flat amount to cover personal use across all of their drivers, regardless of how many personal miles they drive. This can work out to be a big monetary advantage for employees who use fleet vehicles quite a lot for personal use. But employees who drive fleet vehicles strictly for business use and keep their own cars for personal use outside of working conditions may be unfairly overcharged. What happens if a business doesn’t accurately reimburse its employees? Inaccurately reimbursing workers for business-related driving expenses costs many companies thousands of dollars every year (about $3,000 dollars per employee each year, as calculated by Motus). However, this is nothing compared to the costs of class action lawsuits. In recent years, workers have successfully sued their employers for as much as $7 million dollars to compensate for inequitable reimbursement practices. In the state of California, these lawsuits are fast becoming the rule, not the exception, because California Labor Code section 2802 is particularly strict. The California code ensures that “An employer shall indemnify [hold harmless] his or her employee for all necessary expenditures or losses incurred by the employee in direct consequence of the discharge of his or her duties.” This was commonly interpreted by employers as being limited to the costs of equipment or tools used on the job, but is now being used more and more in mileage reimbursement cases (Radio Shack and Toys “R” Us example). Fleet programs also come with their own set of challenges when it comes to accurately charging back employees for personal use of these vehicles. 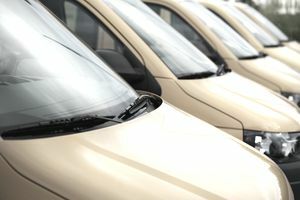 The personal use of company vehicles must be appropriately documented and employees are charged back for personal use. Under-reported personal mileage puts companies at risk of costly IRS audits and may cost the company in missed chargebacks. What are some resources that can help my business? Mobile apps to automate employee mileage tracking and accurately account for each employee's exact business, commute, and personal miles. With the right mobile applications and software platform, you can eliminate manual tasks for drivers to increase productivity, reduce costs, and ensure IRS compliance — all while gaining insight into driving behaviors and mobile workforce efficiency.